Environmental Simulations International (ESI) has recently opened a new office in Bristol Temple Quarter, taking up offices in Temple Quay. Stuart Pearce, ESI’s CEO, gave us a quick introduction to the business, and why they chose to come to Bristol. A brief introduction to ESI: ESI provides leading edge consultancy in the technically complex and rapidly evolving fields of water resources, land quality and sustainable development. The consultancy team comprises some of the most experienced and talented environmental specialists in the UK, offering technical expertise in groundwater science and risk assessment, ensuring that ESI can tackle the most demanding geo-environmental and sustainable development issues across key markets such as property, waste, minerals and water. 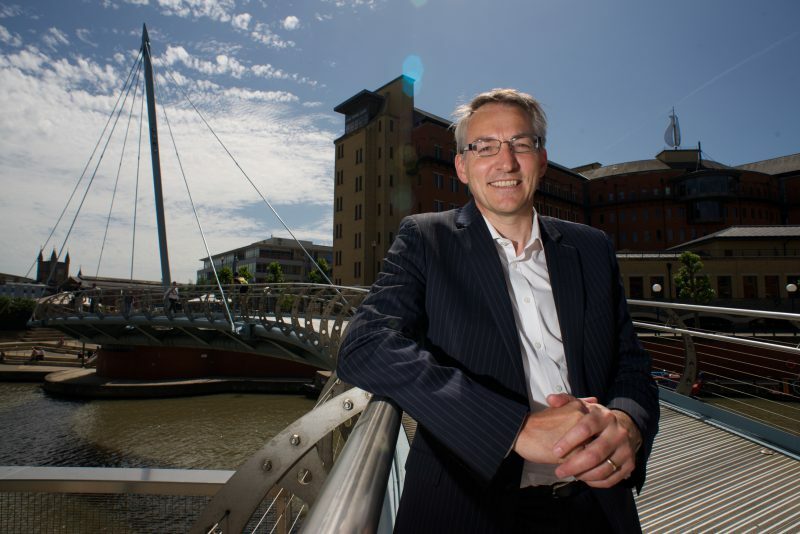 Main motivations behind setting up your new office in Bristol: Temple Quay is a vibrant and exciting area, perfectly located in the heart of the city’s enterprise zone. As our third regional office, it provides a highly accessible location for the benefit of our clients in the south of England, with great transport links. Bristol also gives us access to a high calibre local workforce to support our future growth. An interesting project you’ve worked on: In 2013, ESI launched a first-of-its-kind authoritative Groundwater Flood Risk Map for England and Wales which identified properties and infrastructure assets at risk from groundwater flooding. Which? recently reported that around a quarter of homes damaged by the 2014 winter weather were flooded as a result of rising groundwater. The latest version of the map, which was announced earlier this month, now covers 100% of the UK and provides the most detailed data currently available – greatly improving the way flood risk is assessed. Plans for the future: ESI is in an exciting phase of development, and have a unique position in the UK market as technical leader in the field. Our business combines project-based consultancy support across land, waste, minerals and water and our wholly owned subsidiary company Envirep, which provides environmental desktop reports to the property industry, is also a focus for investment. We’re responding to the need for architects, builders and planners to get more information about environmental risks such as flooding, contaminated land and subsidence hazards and we will be offering new services in the coming months. This paves the way to expand our team further. On the future of the Enterprise Zone: It is already a dynamic business community with many professional services and IT firms. It will be great to see a strong, diverse base of enterprise combined with continued improvements to the area on both sides of the station. It has been a neglected area for many years and it’s great to see one of the key gateways to Bristol being rejuvenated. ESI Ltd in 3 words: Water, Land & Sustainable-Development. Keep in touch: For more information on ESI Ltd, please call 01179 229930, email info@esinternational.com or visit www.esinternational.com. You can also find us on Twitter at @ESI_environment.